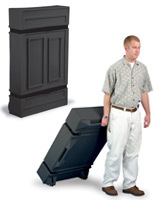 An LCD case features an EVA foam interior that keeps your plasma TV monitor protected. 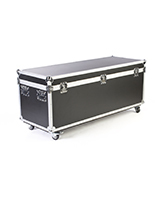 We include (2) long blocks of foam to stuff between the interior of the case in order to prevent movement that can be cut down to fit exactly as you need . 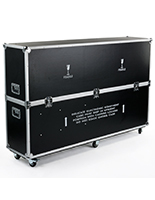 An LCD case, also known as a shipping case and flat panel monitor case, has (4) large wheels for easiest transport. 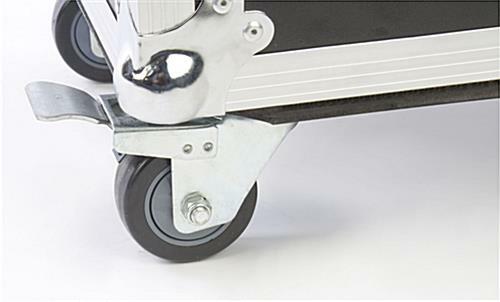 Two of these wheels lock during shipment to keep your LCD case stable. 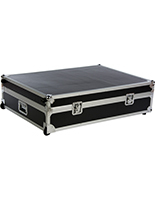 This LCD case also has (4) recessed chrome plated iron latches holding the case covers together. 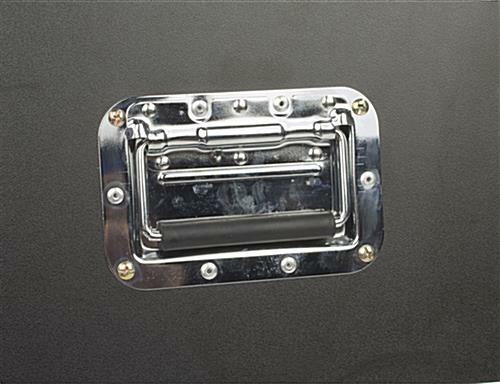 These latches lock into place for a tight, secure fit. 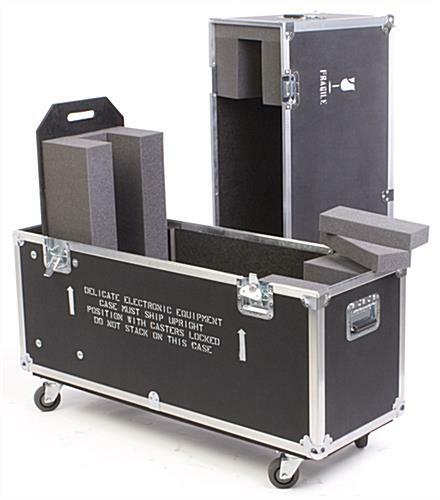 There are also (4) spring loaded handles on the LCD case for convenient pick up and pulling. 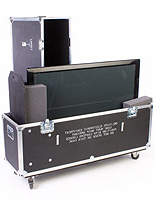 An LCD case is made from 3/8" plywood with an ABS laminate for ultimate protection. 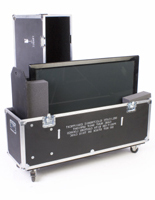 ABS laminate is heat and stain resistant, making this LCD case truly impressive. 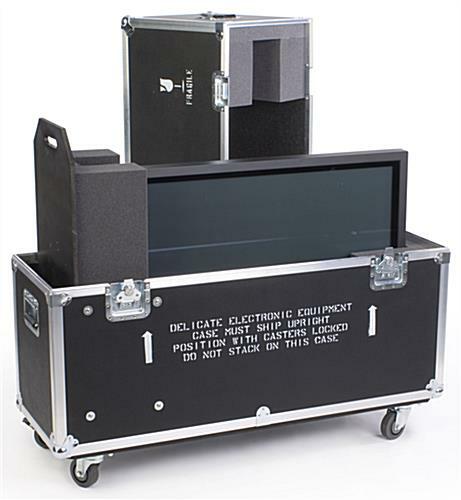 The shipping case, LCD case also has a movable foam block inside so you can position your TV with the most protection. Three different slots are provided, making the inside 39-1/4", 41" and 43" wide. 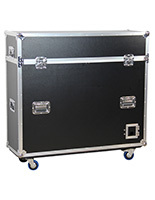 A monitor case, LCD case also has plenty of room on the inside for cables and other accessories. 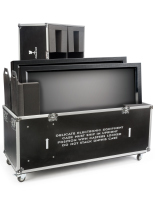 Use this LCD case today to keep your valuable television safe when moving it to your next trade show! 48.9" x 40.5" x 17.0"